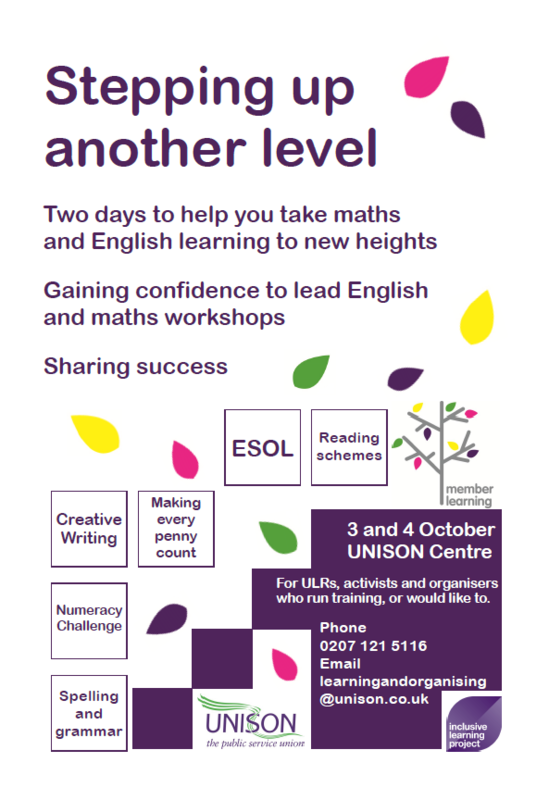 Last year’s Stepping Up workshop invited ULRs to take English and maths learning in their workplace to the next level. Now we’re stepping up again! This workshop will boost your confidence to lead English and maths workshops, and will explore some creative takes on functional skills. There is no cost to delegates or branches and UNISON Learning and Organising Services will cover travel and accommodation costs.